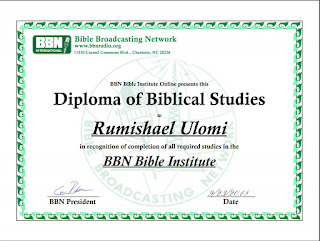 Celebrating my Diploma of Biblical Studies from BBN Bible Institute! 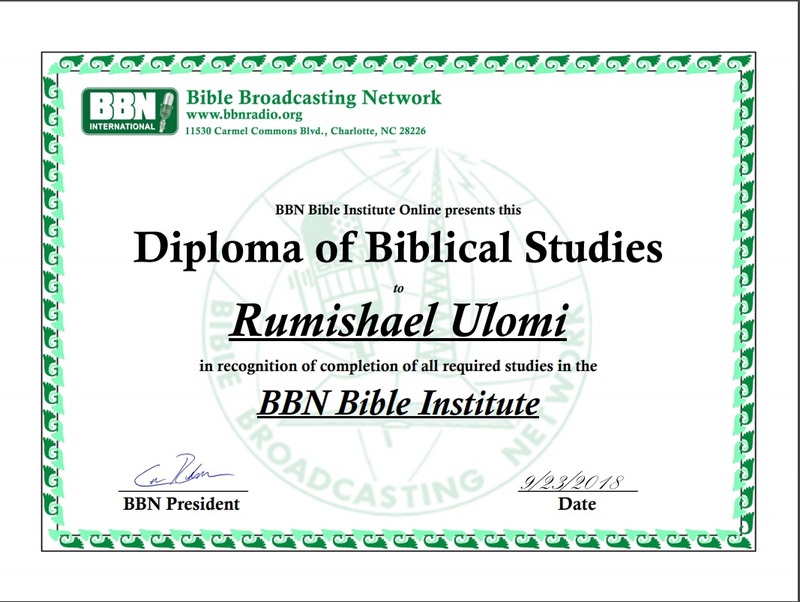 I am very delighted to have finished my Diploma of Biblical Studies from BBN Bible Institute; it has been quite a journey for me. The reason why I joined BBNBI on the first place was not for the Diploma, the Diploma for Biblical Studies was just another achievement that made it all so encouraging at the end; however my number one reason for Joining BBNBI was to grow and nurture my walk with the Lord. I couldn’t resist listening to their teachings and radio sessions online. I remember joining BBNBI for the first time in May 2014 and I have continued learning about God and His love for the world. It was a very exciting 5 years learning experience, because not only were the classes in audio form, I could also listen to them wherever I was at any given moment, and when internet was an issue I could download them and listen over and over until I grasped the teachings. I have really grown a lot during my time with BBNBI and have learned many valuable lessons, both inside and outside of the classroom. The classes have really helped me add value to my walk with the Lord, and the fact is, even though I have gone through the classes and completed them, I still revisit them to continue learning, for I believed that God might add another message for me in the same lesson. I thank God for the committed heart and encouragement He has placed in my heart, because without His encouragement and a yearning heart I wouldn’t have made it. Learning by yourself really requires a commitment, however I am thankful for I wasn’t by myself. The Lord Jesus was by my side throughout the entire learning process, the Holy Spirit opened my heart to learning, and the BBNBI staff where ready to help whenever I had a question. I am really thankful for this opportunity. I encourage anyone who would like to deepen their Faith in Christ to really take the time to immerse themselves in the study of God’s word through BBNBI, for even Paul told timothy to study to show thyself approved unto God. BBN BIBLE INSTITUTE is a free bible school online, anyone above the age of 13 is welcome to join and study for free from anywhere across the world. The Bible Broadcasting Network developed technology to provide a “Bible Institute Online” to help you who desire to learn the Bible get that opportunity. It is made possible by using the unique tools of technology and ministry-focused programming. I encourage you to take the time to deepen your faith in the Lord through the reading and understanding His word, don’t just sit and wait for your pastor to spoon feed them everything. You say you believe and so forth. Well God has left his word for you. Read it! 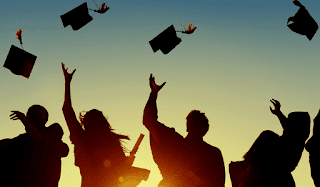 Celebrating a graduation that reflects my religious beliefs is a great way to honor the this day, I believe that God has called me to be in relationship with Christ and to offer words of encouragement to others to build them up in the love of Christ. 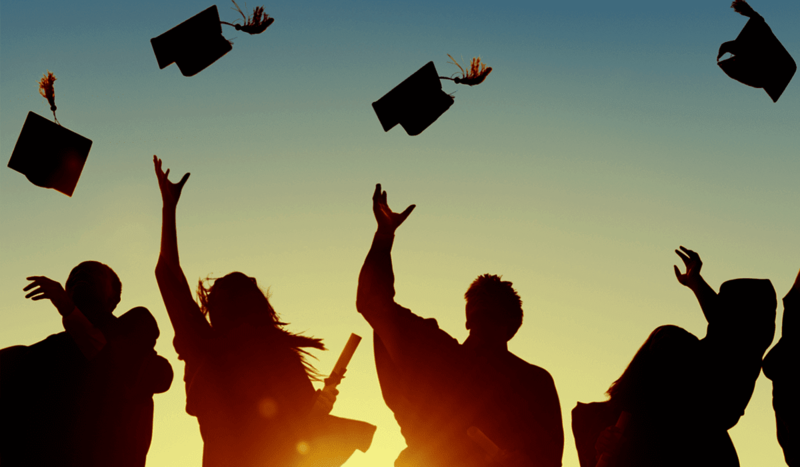 For all of us who have graduated from this class, let us pray that the Lord uses our lives for the advancement of His kingdom and Glory. Let us not cease to walk with Him, rather let our hearts continue burning with passion and desires to serve him.